Tragedy struck at the National Youth Service Corps (NYSC) family in Taraba State, during the weekend when 9 members drowned while on a picnic. The accident happened in River Mayo Selbe in Gashaka local goernment area on the Mambila plateau. The state police command said yesterday in Jalingo, the state capital, that the 9 were swimming in the river on Saturday when the level of water rose suddenly and the strong current swept them downstream. NYSC state coordinaator, Mrs Florence Yaakugh, also confirmed the incident, saying locals, working with security agencies, were helping in the search for the bodies of the two corps members still missing. “This is an unfortunate incident; the NYSC family in Taraba state has been thrown into deep mourning”, she said. The national directorate of the NYSC in Abuja had not confirmed the picnic deaths as of yesterday. However, trust its reaction will not be different from that of state coordinate. On our part, we at Peoples Daily deeply regret the untimely deaths of these young Nigerians called up for service to their fatherland. We condole with their sorrowig families who may not yet have been notified of the tragic death of their beloved ones. We pray God to grant them the strength to bear their irreparable losses. That said, we dare state that those deaths need not have happened if the NYSC had taken the steps needed to make the picnic safe. For instance, did officials screen the picnickers to ascertain those that could swim and those who couldn’t? Did they obtain a weather forecast before sending the corps members on their way? Were they accompanied by swimming experts? We can predict the answers to these questions: no, no, no. This is why we maintain that those youngsters needn’t have perished in the frothing Mayo Selbe river. Somebody must be made to pay for this costly negligence. The Taraba deaths, regrettably, are not the first. 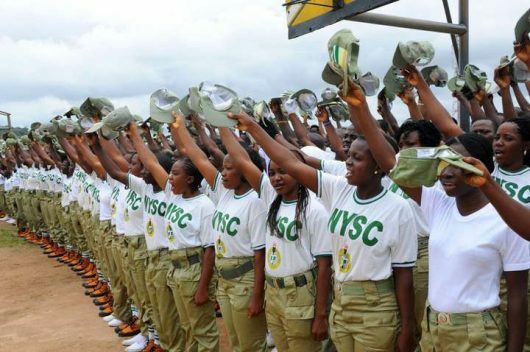 Corps members have been killed by armed robbers and in armed conflicts in several other states. We recall the killing of 6 corps members in 2001/2 in Jos, Plateau State and 11 in the 2011 post-election riot in Bauchi State.The Boko Haram insurgency in the northeast has claimed many corps members’ lives. Just last month in Abuja, a female corps member was shot and killed in a taxi cab by a policeman. Given these mostly avoidable deaths, is there anything surprising about the waning interest in the youth national service scheme? None at all. Needless to say that the nation must protect the young men and women called into the NYSC if it values their contribution toward building a united Nigeria.